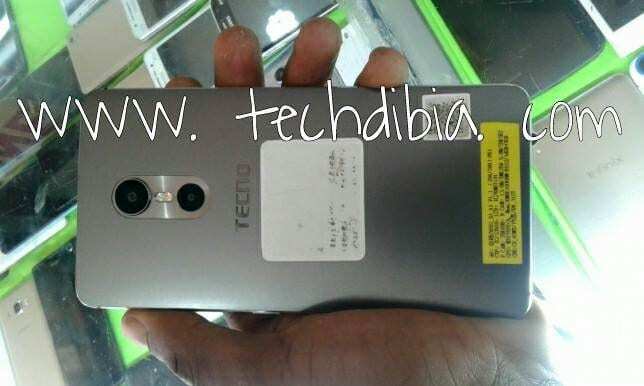 The Chinese company, Tecno is at it again and will be launching another enticing smartphone – Tecno Phantom 6, which will be a direct successors to Tecno’s 2015 flagship smartphone; Phantom 5 while the Tecno Camon C9 is still new in the market. The Phantom 5 is no doubt one of the best Android smartphones from the company. If the leak is accurate, the new Phantom will come in two Variants; Tecno Phantom 6 and Phantom 6 Plus. Although, details about the upcoming phantom 6 is limited. According to the leak, the upcoming smartphone will spot a larger screen size that measures 5.95-inch (just as the “6” in the name implies), an upgrade from a 5.5-inch screen on the Phantom 5 released last year. A move to 5.95-inch screen could be a change in direction. And personally, I think it is in the right direction. Tecno Phantom 6 will come with that premium look with curves on the edges, metal frame, and will be available in all colours as seen with the Phantom 5. The device is confirmed to be lighter and slimmer than the Phantom 5. The Phantom 6 may have potential in photography. On the back, you will have a 21 megapixels dual camera with dual LED flash while the front camera info is yet to be revealed. As for the memory, the standard Phantom 6 will offer same 3GB RAM and 16GB ROM that can be expandable up to 256GB while no details yet for the Plus variant. Both variants will come with USB Type-C ports. We are not sure yet if the Tecno Phantom 6 will come with that amazing fingerprint sensor. Infinix Hot S is not currently available in Nigeria, but is being anticipated. Infinix Hot S Price in Nigeria is expected to range between 50,000 to 75,000 Naira at launch, depending on your location in the country. Is really a brave step… Tecno mobile phone Taking its first official step into the international scene, unleashing its potentials by coming up with this powerful Tecno Phantom 6. I truly believe they put the country recession into consideration if not the price will be more the we expect. To me it does not make sense that tecno phanthom 5 is 32gb and the latest rather 16gb. What sense does it make? WOAW! This phone will have enough space for apps o. Damn. please can you confirm if this device phantom 6 plus is equiped with dolby dts?